We live to celebrate. No celebration is more special than a wedding. Five Star Entertainment knows, because we specialize in wedding entertainment. 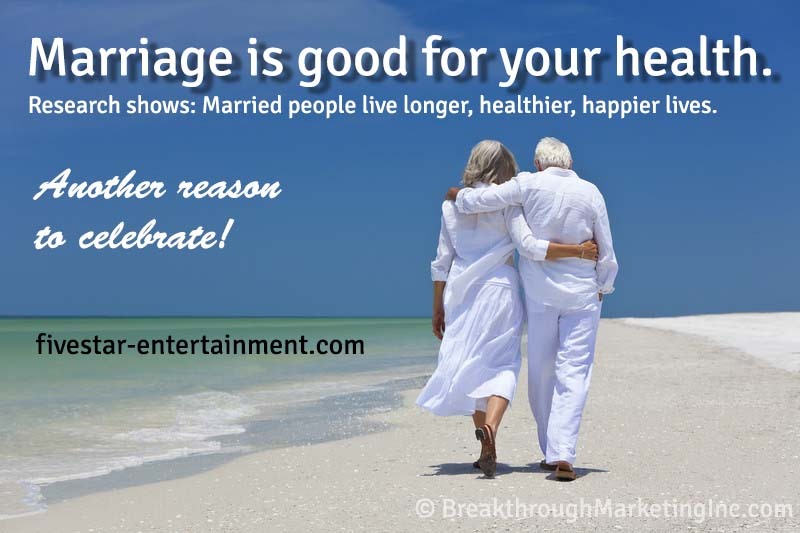 But did you also know marriage is good for your health? Let’s celebrate! As you plan your wedding celebration, check out our wedding entertainment services, our fabulous event lighting, North Carolina’s favorite Photo Booth, and our handy, online planning tools for clients. Five Star Entertainment is the wedding celebration specialist you’ve been hearing about!